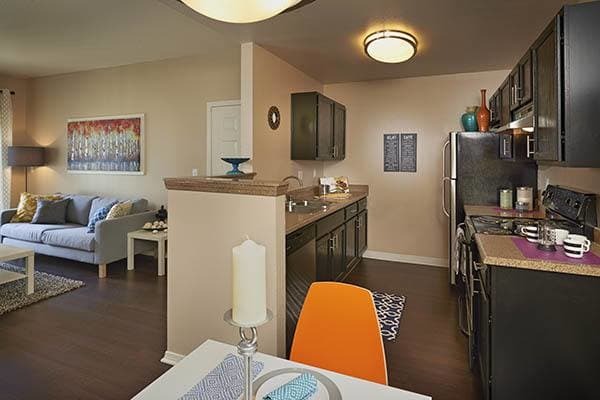 Our newly renovated one and two bedroom apartments are the most desirable home for residents of Aurora, CO. With a convenient location just 30 minutes from downtown Denver, you can enjoy charming comfort and access to acres of outdoor recreation without sacrificing urban culture and lifestyle. 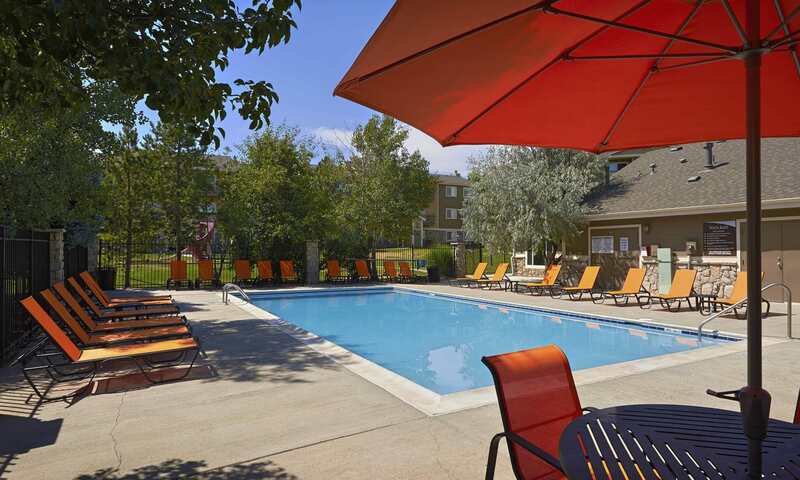 Crossroads at City Center Apartments is a lovely, pet-friendly community filled with top-of-the-line amenities. Your newly renovated home has a designer look with espresso cabinetry, upgraded lighting, two-tone paint with crown molding, and brushed nickel finishes. Contemporary GE and Frigidaire stainless-steel appliances add a touch of class with a self-cleaning oven, frost-free refrigerator with icemaker, and dishwasher. Spacious floor plans, walk-in closets, high-speed internet capability, and the convenience of a full-size washer and dryer set in every home complete your quality home amenities package. Select homes feature hardwood floors, vaulted ceilings and gorgeous views of the Aurora and Denver skylines. Covered, detached parking garages are also available and make a useful luxury for Colorado winters. Enjoy your own breathtaking view of the Rocky Mountains from sun-drenched, oversized windows. Curl up with a good read next to your own cozy gas fireplace. Every home offers a private patio or balcony for added space. 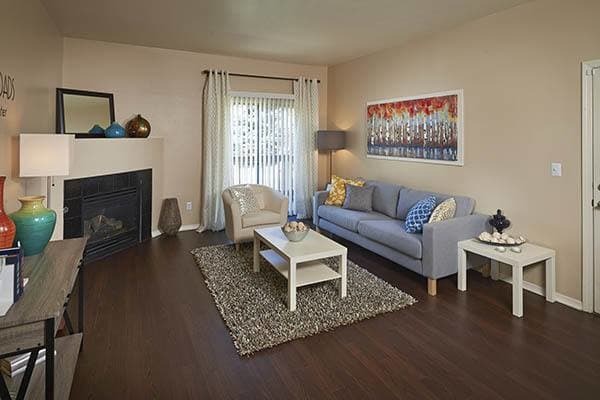 To take a private tour of our amazing community, contact our leasing office today. We will be happy to show you the way home.